Disclaimer: This is a sponsored post on behalf of ALDI, all recipes and opinions are mine and I hope you enjoy them. 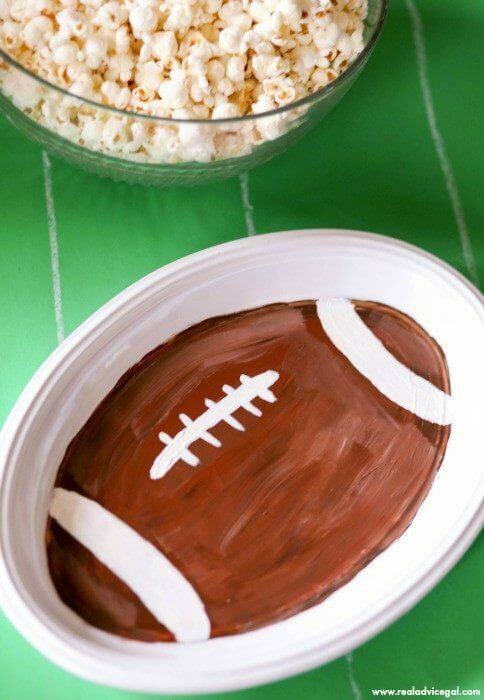 How do you host a Super Bowl party on a budget when your guests are gluten-free and dairy-free? 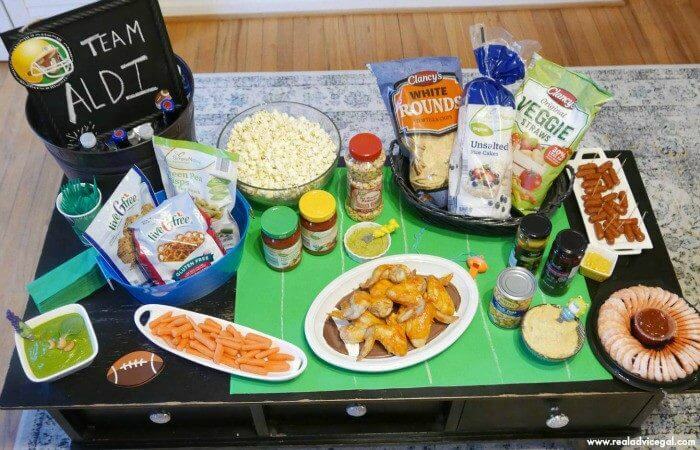 Where do you find the ingredients for easy gluten-free snack recipes? I do what I always do, to keep my budget in line I go to ALDI for a touchdown in savings. I can’t tell you how important it is to have a plan when you have a party. I know that it is important to know my guests and to know what they like and what they don’t like, but it is more important to know what they can and can’t eat. I have a husband that is gluten and dairy-free which makes planning an event, even more difficult. I find that at most retailers those food items are double in cost. You know that ALDI prices in my well-shopped opinion, are lower in some cases by 50%. You can see some of the prepackaged items I bought in this image. Now I am going to share a couple of easy gluten free snack recipes. This spinach dip recipe is both gluten-free and dairy-free snack. 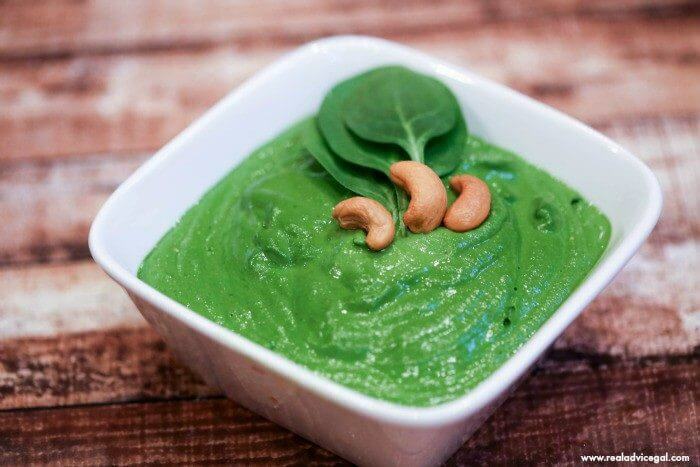 For this recipe, I used 1 cup of cashews, 2 gloves of garlic, 4 cups of spinach and a blender. It is both rich and creamy. I served it with carrots, white rounds, and crackers. Hummus is another gluten-free and dairy-free snack that is also on my easy gluten-free snack recipes list. I love making my own hummus and this is the recipe I use. You just put the ingredients in a food processor and process until smooth, then sprinkle with paprika, parsley, and pine nuts, if desired. The lemon vegan hummus recipe is so great, and it is another recipe that my kids can make in minutes. What if your guest likes their meat. I also make a divine pork in the crockpot. You can serve it to your gluten-free dairy-free guest in this Live GFree Gluten-Free Wrap that ALDI has or they can eat it with a fork. It is so easy to make. 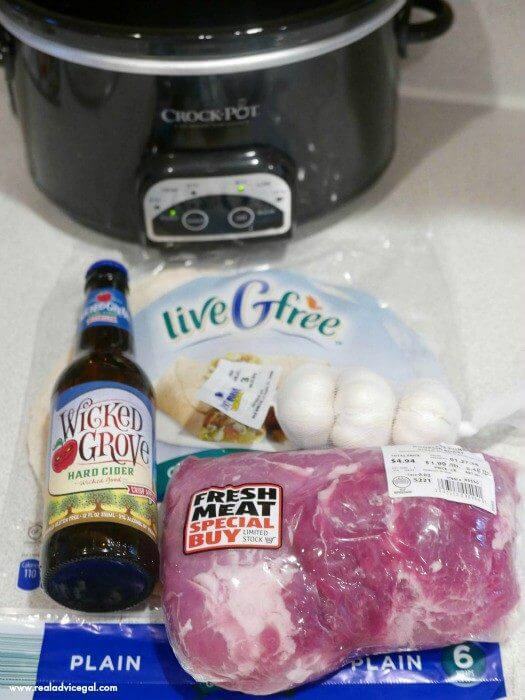 You place one clove of garlic in the crockpot and then one bottle of Wicked Grove Hard Cider on top of the pork and cook on low for 8 hours. You can feel free to cook it longer. It is so tasty! The meat was so inexpensive, and it will feed a lot of people, I have even used it on nachos in the past. I found a secret in the freezer and refrigerated sections at ALDI. They have easy gluten-free snack recipes like breaded chicken bites, shrimp cocktail rings, and little smokies they were all a big hit. Do not worry I also got my husband’s favorite gluten-free, and dairy-free snack which is buffalo wings. He loves my baked buffalo wings and with the prices at ALDI as low as they are you can make tons of it. You use a gluten-free Buffalo sauce on top of wings. I bake mine for 30-35 minute on 350 degrees. They are healthy, tasty, and a crowd pleaser. I wouldn’t want to forget dessert. I bought some gluten-free brownie mix which I used these egg substitutes and then I made some rice cereal treats. I ran out of table space because there were so many choices. I had olives, salsa, guacamole, rice cereal to make a toasted spiced snack, and a veggie tray. I find the produce to be very affordable. 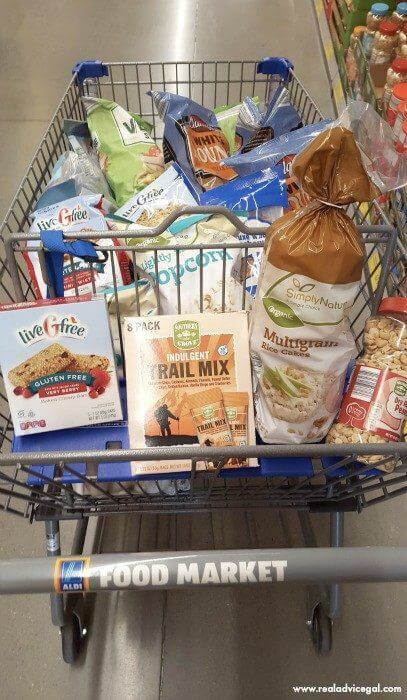 Can I just tell you how thankful I am that I was able to find so many gluten-free and dairy-free snack options. Do not forget the beverages. Make sure you know all the latest products and promos of ALDI. 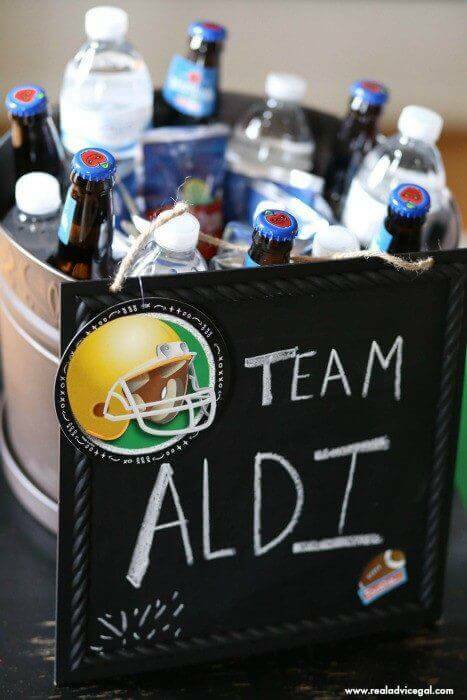 “Like” ALDI on Facebook and follow them on Twitter, Pinterest and Instagram. 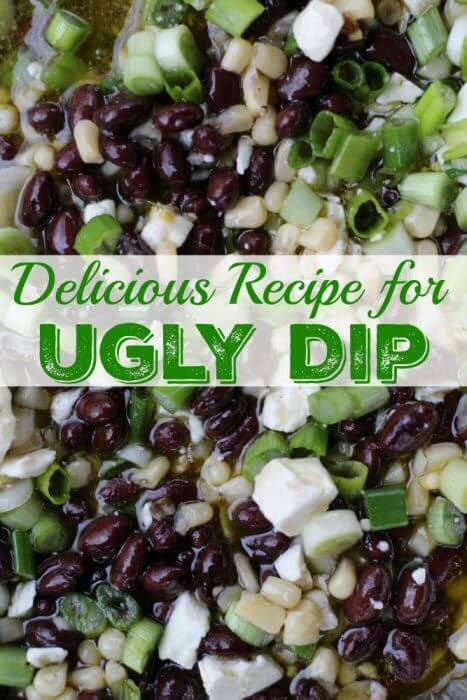 Also visit Blog.ALDI.us for recipe ideas and savings inspirations and more. 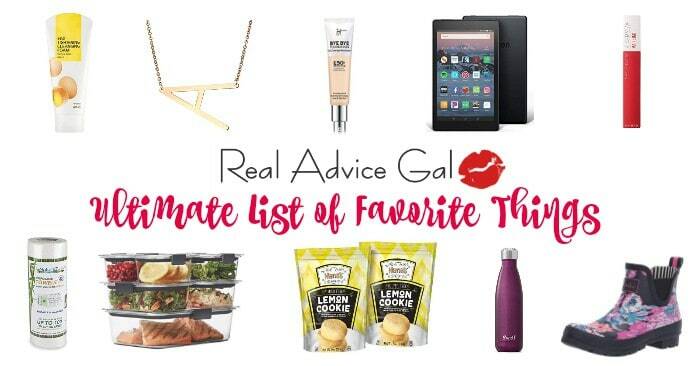 Don’t forget to check out my list of things you should know about ALDI. 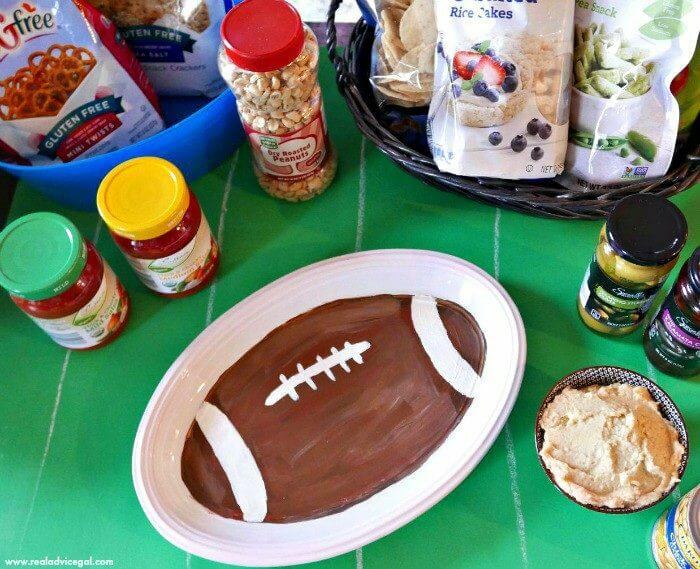 Check out how I made my Football Plate!